America First Advertises in Omaha Magazine! 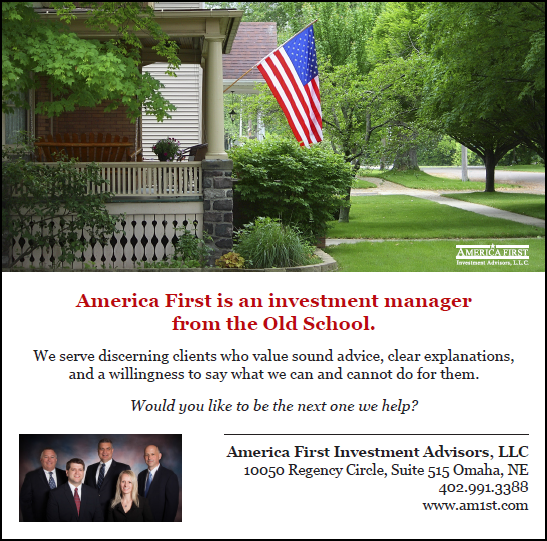 Clients know that America First is an investment manager from the Old School. Now we’re helping to spread the word by advertising in Omaha Magazine. Our ad is shown to the left. You can also see it on page 125 of the May/June edition of Omaha Magazine.